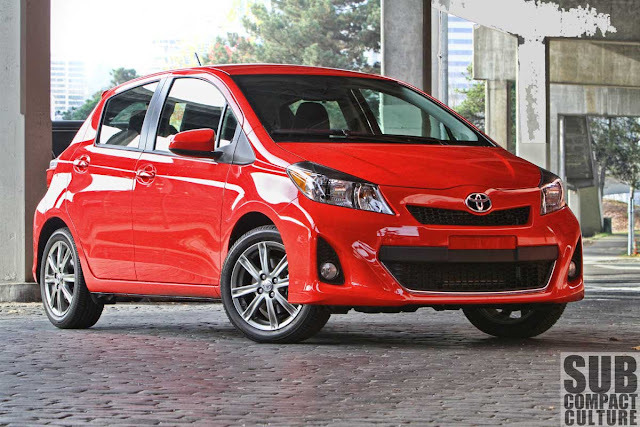 The 2012 Toyota Yaris SE features all-new exterior styling. Photo by Curtis Reesor. As the owner of a 2007 Yaris three-door, I was extremely curious when Toyota announced it was revamping the brand’s b-segment entry. Toyota introduced the Yaris onto the U.S. market in 2007 after it discontinued the unpopular (and generally unloved) Echo. The 2007-2011 Yaris, available in sedan, three-door, and five-door hatchback configurations, was practical with tons of storage areas, especially in hatchback guise. Nimble, fuel-efficient, and in my Yaris-owning opinion, fun to drive, the Yaris was a step in the right direction in the subcompact world. 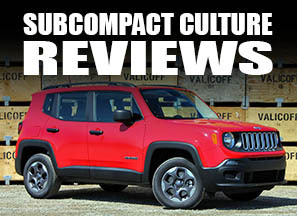 But it was criticized, especially in hatchback form, for an abundant use of hard plastics on the interior, its center-mounted gauge cluster, and economy-car feel on low trim levels. It turns out the 2012 Yaris is actually a mix new styling and design, with the previous-Yaris engine, transmission, and chassis. Andy getting into the Yaris. The SE has a unique front fascia, fog lamps, and 16" alloy wheels. Photo by Curtis Reesor. Yaris is now available in three trim levels, with the SE model being the sporty version. The SE gets unique features like a rear spoiler, a distinctive front fascia with fog lamps, and attractive 16” alloy wheels. I like what they’ve done with the looks. It’s sporty and edgy without looking like it’s adorned with a bunch of bolt-on additions. I like the car from most angles, although I’m not a huge fan of the rear end, but it isn’t a deal breaker. You can still see hints of the last-gen Yaris in the ’12, but the overall look is more mature, less bubble-like. Also, the SE is only available as a five-door model. The three-door is reserved for the more basic trim levels. 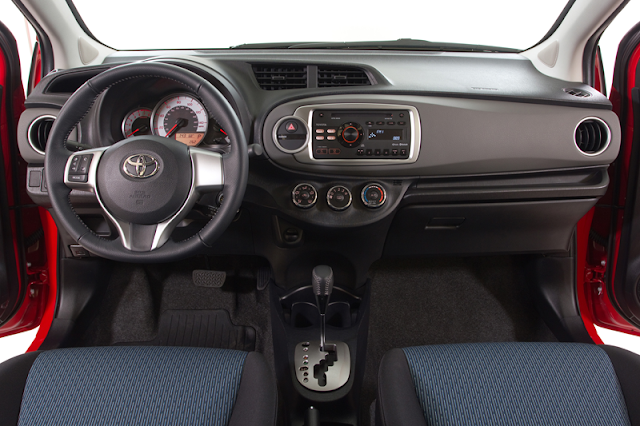 Gone is the previous Yaris' center gauge cluster and upper passenger glovebox, but the new interior is nicer overall. The new Yaris’ interior gets a big upgrade. Gone are the hard plastic accoutrements, instead replaced by attractive styling, a soft-touch dash, and a fat, racy steering wheel. Also gone: the old Yaris' useful upper passenger glovebox, and the often loathed center-mounted gauges. The new three-dial cluster with red illumination is much better. The front sport seats are fantastic with good bolstering, but they’re still comfortable for long hauls. The climate control is the basic three-dial control system. The rear seats are surprisingly roomy. The cargo area remains fairly small, as it was in the previous Yaris, but the rear seats fold flat for extra cargo carrying ability. One thing I don’t like is the radio. I don’t find it attractive or user-friendly. Ditto that for the Bluetooth connectivity. Sound quality is respectable, though. The steering wheel has cruise- and audio controls, too. 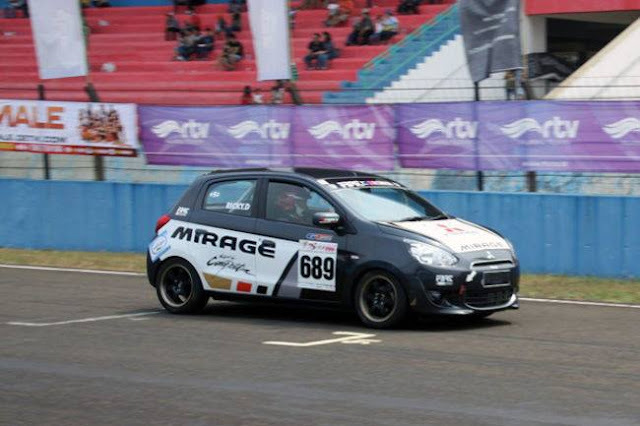 Speaking of steering, it is one of the Yaris’ best attributes. Where the old Yaris featured an over-boosted system with little feel, the SE has great feel, and is extremely quick and agile. In fact, the steering ratio on the SE is quicker than the non-SE Yaris models. Add the SE’s sport suspension, and you’ve got a very tossible canyon carver that loves the corners. Amazingly, the ride doesn’t suffer, either. We put more than 450 miles on the car and never felt uncomfortable, even on the long trips. A nice blend of handling and ride. The Yaris might not be super powerful, but it is very nimble and fun to drive. Photo by Curtis Reesor. Even though this is the sporty version, it only makes 106 horsepower and 103 ft./lbs. of torque—the same as all Yaris models. 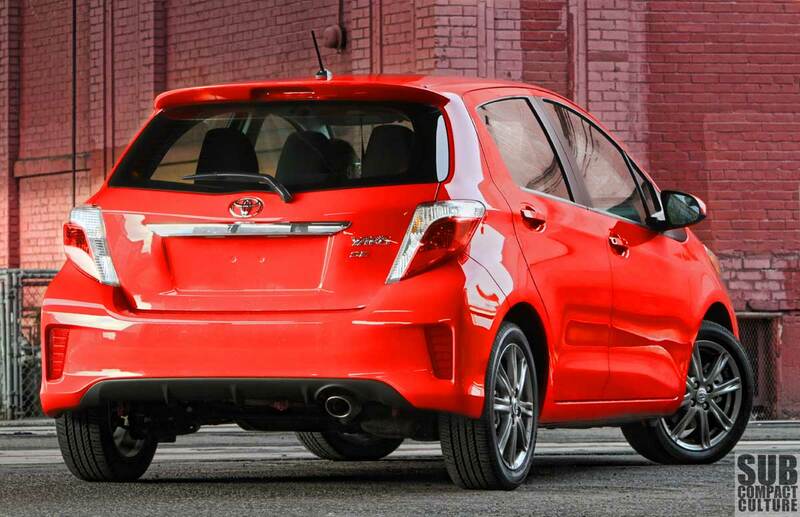 But the Yaris is also the featherweight of the class weighing just 2,375 lbs. (For comparison’s sake, the Chevrolet Sonic turbo weighs more than 2,800 lbs. but makes 138 hp.) The driving experience is quite fun. The quick steering, light curb weight , well-defined shifter, and four-wheel disc brakes make the car more entertaining to drive that you might expect. We did notice a fair amount of road noise and engine racket during acceleration, though. 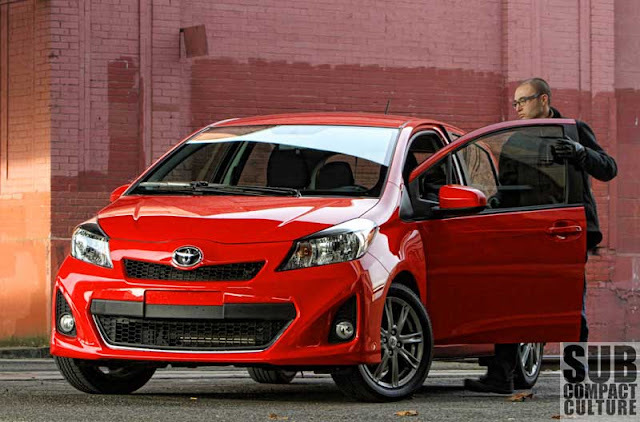 Our five-speed Yaris SE tester retails for $17,340 including $760 in destination and $150 for carpeted floor mats—a very reasonable price. 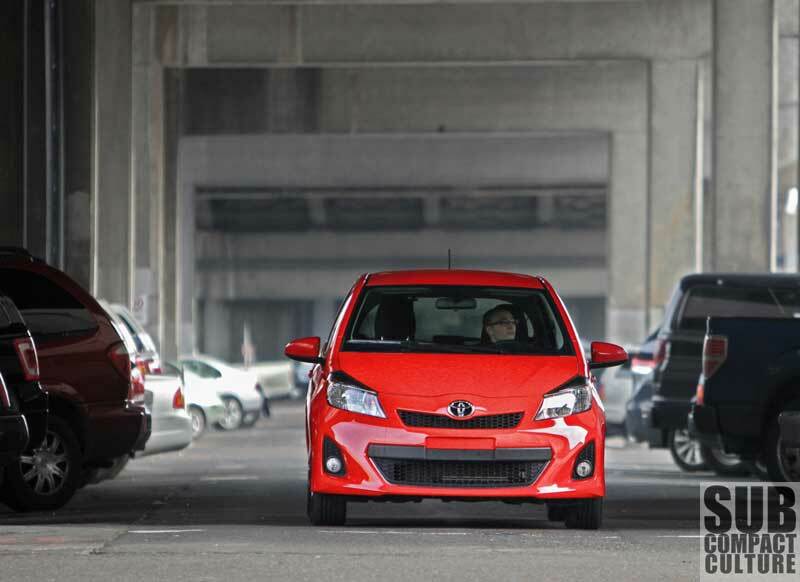 The Yaris has certainly grown up, become more sophisticated, and improved over the previous generation. It’s true that the powertrain isn’t the newest, and its chassis is very similar to the last model. But it’s very much improved in all respects, and it deserves a look for those shopping for a great combination of fuel efficiency, sporty handling, and what is likely to be legendary Toyota reliability. The Yaris SE is sporty, easy on gas, stylish, and improved over the previous generation. Photo by Curtis Reesor. Ah, I admit I liked the bubble look of the Yaris and I'm sad to see that go. But the new design isn't bad. It's curious to me they didn't bother to put a new engine in there. I guess if it's not broken, don't fix it.... just seems like they could have improved the engine in those 10 years, ya know? Well, the engine still manages to get good fuel economy and performance, so I'd agree: If it ain't broke, don't fix it. No need to invest money in it if it's doing the job. The previous Yaris was available for five model years. It changed right along with the Kia Rio, Hyundai Accent (both debuted in 2007, redesigned for 2012). I'm disappointed to see the extra gloveboxes go, I use them constantly. I'm surprised they didn't start by stretching an iQ to the old Yaris' length for Fit-beating space utilization. My 2012 Yaris SE has a manual 5 speed; bought in Louisville November 29, 2011 for $16,200. Enjoyed the article and photos. I personally like the center dash and extra glove boxes in my 2010 Yaris but I understand why most people think it would be weird. I'm glad Toyota is using the 1NZ-FE engine again. They seem to be super reliable. Thanks for the review! I have 120K miles on my 08 Yaris standard tran. Love it and am so bummed they don't offer it in standard at the basic level. I bought mine for about 12K. Great investment. My little super-reliable lawnmower (what my mechanic calls it).